Sure, there are tons of different methods people will try to increase website traffic and hopefully convert some of those browsers to new customers and repeat customers. Getting people to your site is one thing and making it possible for the site to show up in organic search results is another. Determine what keywords and content are already ranking. A good place to start is to look at what keywords and content are already ranking on the first three pages of search results. 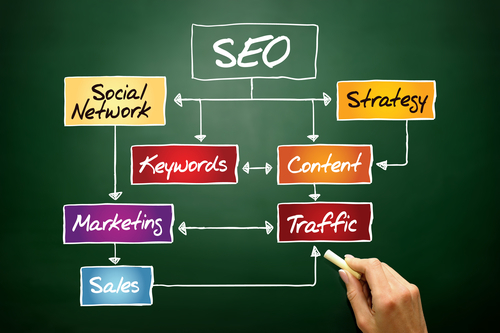 It is easier to focus on further optimizing this content and related keywords to increase organic traffic. Focus on one keyword at a time. You can have a long list of keywords you want to target and that is great. 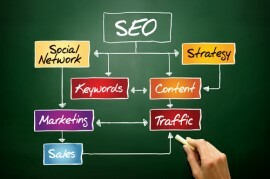 However, it is better to pick the most important keyword and develop content and strategies around that keyword first. Ranking for a short-tail keyword helps improve rankings for long-tail keywords and related keywords. Once you are ranking, then you can move onto other keywords. Update older content that is no longer ranking or more than a year old. Ensuring the content on your website is fresh, new, and updated on a regular basis, helps improve organic traffic. You do not need to “reinvent the wheel” here, and can just rewrite the existing content on the site to give it a “makeover” and update to reflect current trends in your industry or market segment. Share content on social media platforms. The power of social media should not be overlooked. Aside from search engines, social media platforms are another great tool to use to promote your website and gain organic traffic. The more shares a piece of content receives, the more likely people will click on it and visit the site, not to mention increase the number of organic backlinks, which also helps improve organic rankings. Incorporate images and videos into your content. People are on the go and breaking up large chunks of text-based content with images and videos is a great way to give visitors another way to learn more about what is on the page. In addition, allowing them to share the images and videos will help improve organic traffic. Do not overlook the power of infographics. Infographics are becoming a popular form of content businesses are using as a form of content on their websites. Infographic contact a mixture of images and text and are presented in an easy-to-ready format. You can also take the content in the infographic and turn that into longer text-based blog posts and post both on your site.